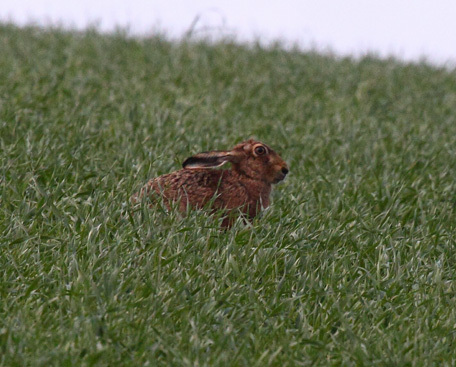 Recently a guest spotted this magnificent hare just outside the cottage. 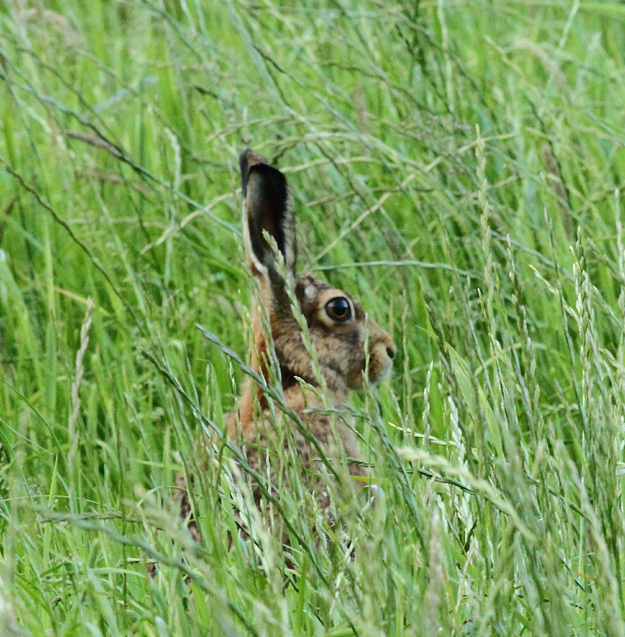 Fortunately our guest was an expert photographer and caught the beautiful animal on camera. He also spotted several squirrels (sadly they were grey but there are red ones nearby) the buzzards which nest in woods by the cottage and a red kite among many other birds. On the stone walls he observed the tiny, but beautiful red wasps which have a nasty habit of laying their eggs in other insects!